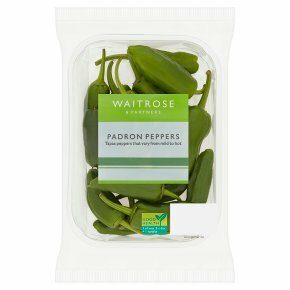 Padron peppers are a speciality of Spanish tapas bars, mostly mild, a few in each pack may have hotter flavour. Heat a tablespoon (15ml) of olive oil in a frying pan. Gently fry the peppers over a medium heat until their soft skins start to blister remove from the pan and sprinkle with a little rock salt. They are now ready to serve.